Networks used in Deep Learning generally have feedforward architectures, and they can not use top-down information for recognition. 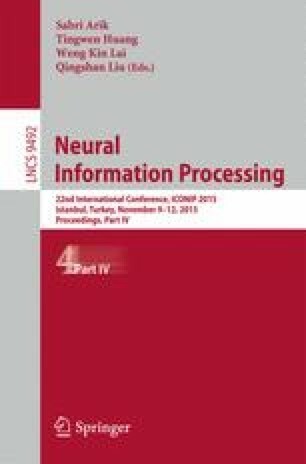 In this paper, we propose Bayesian AutoEncoder (BAE) in order to use top-down information for recognition. BAE constructs a generative model represented as a Bayesian Network, and the networks constructed by BAE behave as Bayesian Networks. The network can execute inference for each stochastic variable through belief propagation, using both bottom-up information and top-down information. We confirmed that BAE can construct small networks with one latent layer and extract features in 3\(\,\times \,\)3 pixel input data as latent variables.